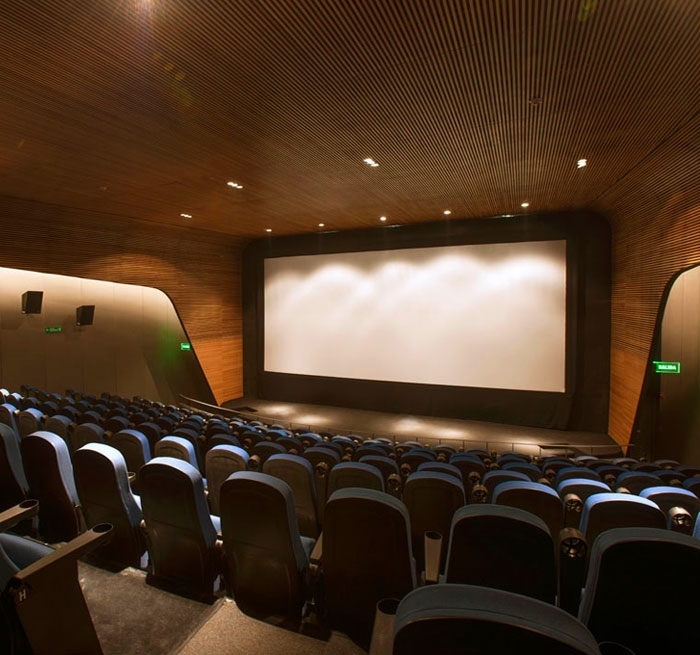 Cineteca Nacional de México’s Department of Collections is responsible for the preservation of the cultural heritage of the nation’s cinema. The goal of the remodel/upgrade project was to turn the site into an inviting public space and to update the film and projection systems to accommodate all types of cinematic mediums. 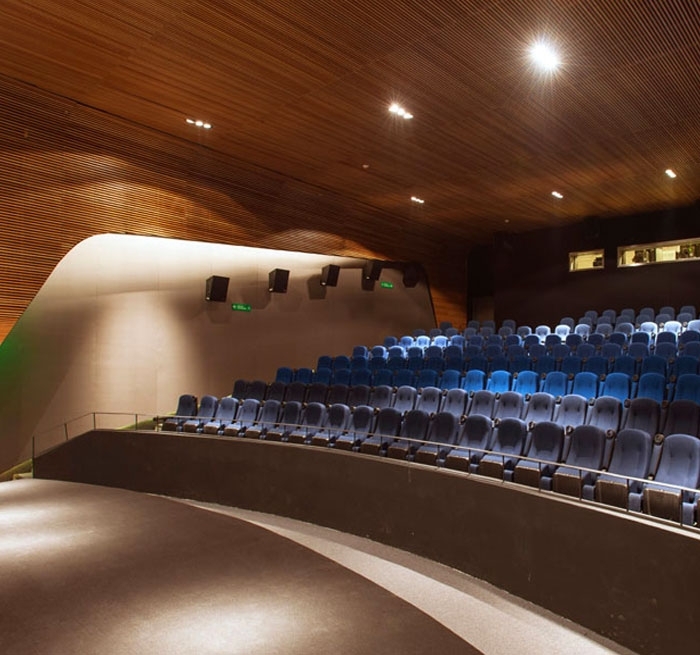 The existing 1984 building was renovated, providing three cinema auditoriums each seating 450, two screening rooms seating 60 and a cinema seating 230. The renovated spaces include the Videoteca for on-demand public viewing of the archive holdings and museum exhibit spaces. 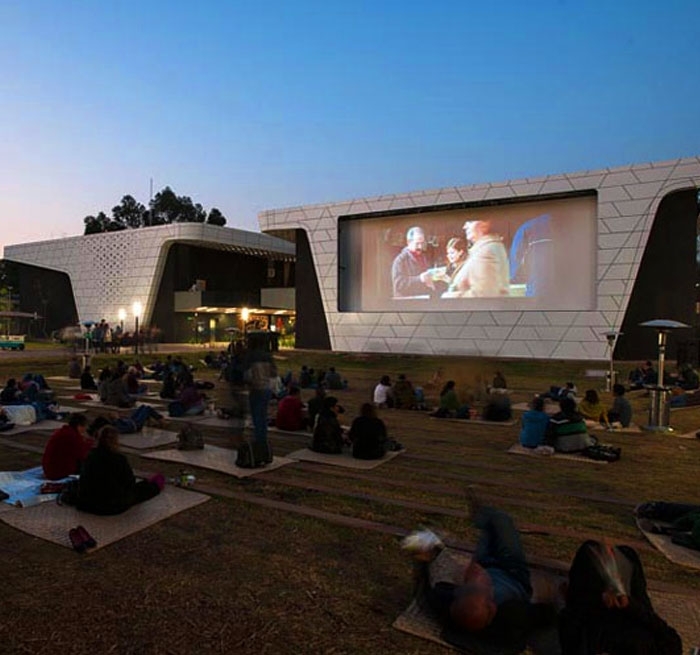 Three cinema vaults, four 180-seat cinema auditoriums and an outdoor cinema venue in a park setting were added as part of the project. Auerbach Pollock Friedlander provided full service theatre and audio-video systems design in the complete renovation including initial planning, seating and sightlines, projection geometry, theatre rigging systems with automated projection screen masking systems, projection booth planning and equipment layout, mechanical and digital cinema projection systems, multi-format video playback and projection systems, cinema sound systems, presentation sound systems and related show control systems.